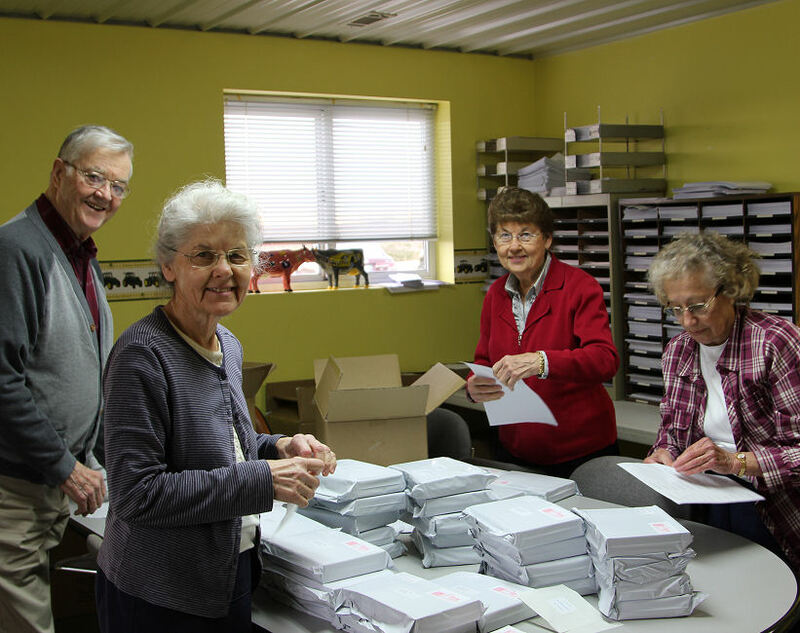 Today we processed the request letters at the Berean office. Chuck, Edie, Roma and Anna were amazing help. 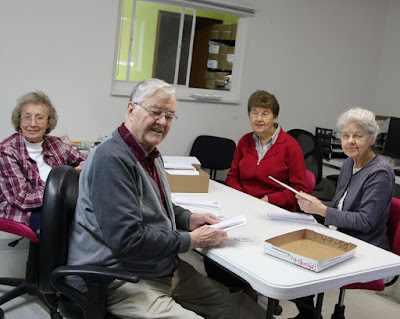 They went right to work and together were able to stuff, wrap, label and load 197 Bibles. It helped that last Thursday there were quite a few boxes of Bibles already wrapped and ready for labeling. They only had to stuff and wrap around 100 and just label the other 97. Once the Bibles were loaded into the car I left for the post office but these workers went right to work in the other room to open today's mail. I AM thankful, not just that these volunteers are willing to work but they work efficiently AND gladly! What a great group. The Berean volunteers really are all top notch.